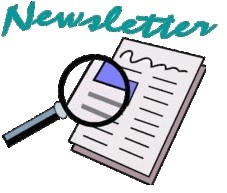 Welcome to our 2019-2 newsletter (link to previous issue). We are delighted you decided to read it and welcome your feedback on how we can improve it. Become a premier internet destination for anyone seeking information about Belize. Implement projects and services to help people in Belize. This page has been "retired" but is retained for archival purposes. Please see the new page here https://believeinbelize.org/sitepage/sponsor-options/website-sponsor. Believe in Belize is an all volunteer organization. No one is compensated for their time. However, we do incur costs to operate, mainly as they relate to operating our website (hosting license, email services, virus protection, etc.) and processing (e.g. donor credit card fees). Website advertising goes towards covering our operating costs. 1) 80% USA, 12% Belize, 5% Canada, and multiple visitors from Germany, Australia, Great Britain, India, Ireland, Mexico, China. 2) Over 1,500 visits and over 3,000 page views per month (~50 and ~100 per day respectively). We are hoping a number of companies will choose to advertise, particularly from the US, Belize & Canada. 1) Web pages Advertiser - Appears on our homepage, and many secondary website pages. 2) Footer Advertiser - Appears in the footer of every web page on our website. The annual subscription fee is US $100 (deductible by your organization as marketing expense) which you can setup as a recurring payment through PayPal below (and cancel anytime). It is VERY IMPORTANT that you provide an email address with your payment or contact us after you submit your payment so that we follow-up and work out the necessary details based on the selected subscription. Believe in Belize reserves the right to decline an advertisement due to lack of payment, government regulation, and inappropriate content as determined at the sole discretion of the Board of Believe in Belize. We are currently developing six different programs in: Education, Health, Community Development, Common Resources, Partnerships and Operations. These programs will be implemented through a set of projects or services grouped by initiatives. The projects/services will either be initiated or managed by Believe in Belize or will provide visibility to efforts being done by other organizations or individuals. This will serve the ultimate purpose of Believe in Belize to be a well recognized source of what is happening in Belize to help with its development. We are contemplating the projects and services below. If an item is not "clickable" it means we will initiate it once we have a better idea about funding and/or are able to get volunteers to manage them. The list is by no means exhaustive. If you have a project or service idea please contact us. If you would like to explore our volunteer positions please click here. You can help Believe in Belize by donating to the different things we do below using PayPal or your credit card. For other donation options (stocks, real estate, etc.) you have in mind please email us to discuss the details. Since we are a 501c3 organization, all donations are tax deductible based on applicable US tax laws. How is Believe in Belize Funded? 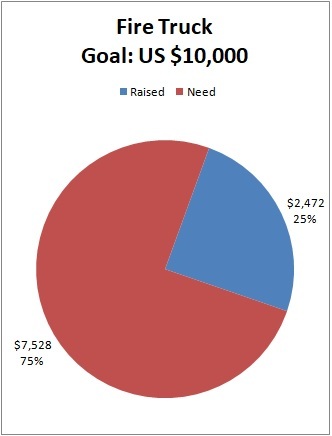 Funding options for our charitable work and operations can be found here https://believeinbelize.org/sitepage/donation-options. 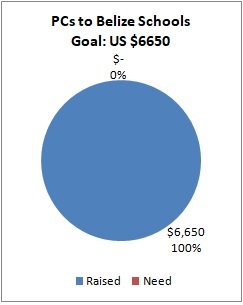 Donations are tax deductible based on applicable US tax laws. The content of this page is out of date. Since Believe in Belize is now a 501c3 organization we do not need a 3rd party to collect donations on our behalf. This page is retained for historical purposes only. US tax deductible donations by credit card, check, wire transfer and appreciated securities are made to our Collective Giving Fund (what is this?) managed by FJC: A Foundation of Philanthropic Funds (www.fjc.org). 1) Donate at http://www.fjc.org/donate-now. REMINDER: Regardless of what you donate, you must always provide "Believe in Belize" as the FJC Account. 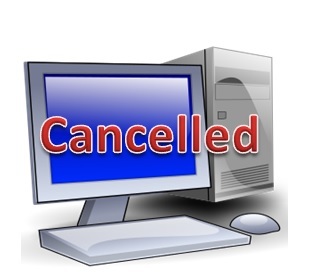 Please note that because of US regulations donations to this account cannot be refunded. 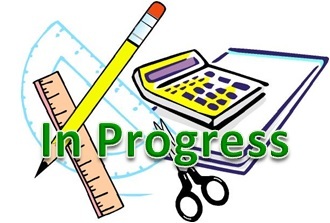 2) If you would like to allocate your donation among different programs, and time frames please email us. Otherwise, we will allocate your donation as needed. This project is "On Hold" for at least one year. Southern Emergency Services needs to re-assess its ability to operate the service in Placencia. 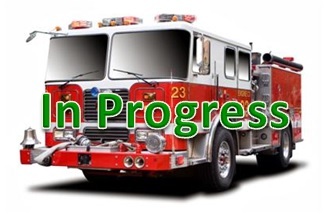 Funds received for this project have been re-allocated to the Fire Truck project (see this link). Donors are welcome to contact us if they would like to make other arrangements related to their donation to this project by contacting us at Board@believeinbelize.org. As part of its Health Program / Medical Equipment Initiative, Believe in Belize initiated a project to provide 2 ambulances to service the Placencia Peninsula. Strategically, Believe in Belize would like to assist emergency service providers acquire ambulances throughout Belize. This is our first project. The Rotary Club of Placencia (http://placencia-rotary.squarespace.com/) will assist us with clearing customs in Belize and driving the ambulances to Southern Emergency Services (https://www.facebook.com/sesbelize/) in Stann Creek District who will be the eventual owner of the ambulances and non-profit operator of the emergency service. The ambulances will serve the Placencia peninsula community of 3,500-5,000 people (depending on tourist season). 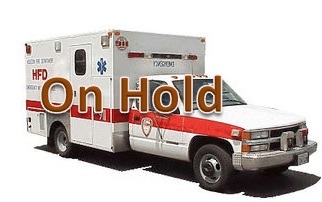 Currently there is one ambulance privately owned by a local physician. This service is for profit, and with limited availability. The Rotary Club of Edmonton Riverview in Alberta, Canada (https://www.facebook.com/edmontonriverviewrotary/) is donating both ambulances to Believe in Belize. However, the cost to refurbish and ship each ambulance is US $4,000 - $5,000 so we need to raise funds in the amount of $8,000 - $10,000. Connie is a Registered Nurse in the state of Texas. She recently retired from St. Philip’s College where she was program director and taught nursing courses for 23 years. She received her Bachelor of Science Degree in Nursing from The University of Texas Health Science Center in San Antonio in 1988. She has a strong desire to help others and volunteers at her church and in her local community. Connie is excited to participate in the Health Program projects of Believe in Belize. Connie and her husband, Sidney, enjoy spending time between their homes in Texas and Placencia, Belize. 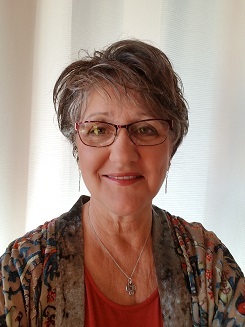 Connie loves the outdoors, swimming, fishing, snorkeling and enjoys any beach destination. This page is "retired" but kept for historical purposes. Please visit the new page here https://believeinbelize.org/sitepage/shoes-for-kids-service. The average monthly income in Belize is ~US$800. This varies widely by profession and region. The minimum wage is in the US$3 per hour range. The population of children under 16 in Belize is around 100,000. With this information it is a good assumption that some children have one pair of shoes and for whatever reason could be barefooted at some point while growing up. As part of its Community Development Program’s Family Support Initiative, Believe in Belize is providing this service capability to distribute shoes to needy children throughout Belize. Specifically, we will work with the non-profit organization “The Shoe That Grows” https://theshoethatgrows.org/. 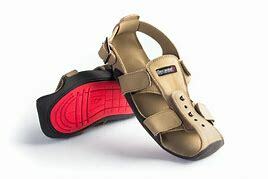 It is a 501c3 organization that has developed shoes that grow 5 sizes to accommodate a growing child. Each shoe costs US$15. We launched our Bicycle Reflector service. We need to spread the word about it. 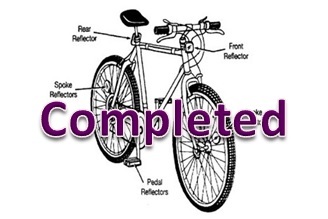 Please see this link https://believeinbelize.org/stories/service-bicycle-reflectors and use the "share" options at the header or footer of the page. We are in early discussions about hosting soccer tournaments. Please feel free to join us in this public Facebook group. Why Share our website pages? The header and footer of our website pages display "+" and "f". Clicking the "+" brings up multiple social media options you can share a page to, whereas, "f" lets you share to Facebook. We hope our website visitors will use these options to share what Believe in Belize is all about. Your assistance in "spreading the word" is immensely helpful. Thank you in advance for your support. As part of its Bicycle Safety Initiative, and after a successful pilot project, Believe in Belize is providing this service capability to install bicycle reflectors to people who cannot afford them (especially children) throughout Belize. 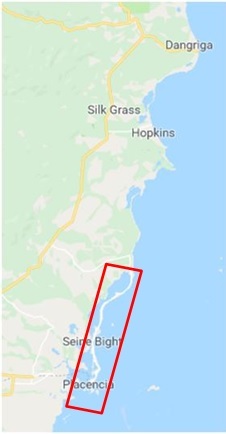 Basically reflectors are donated to local participating organizations (see end of this write-up) to install the reflectors in their respective area within Belize. Donate money through PayPal / Credit Card here and we will purchase the reflectors and give them to a participating organization in Belize (donations are tax deductible based on applicable US tax laws). If you are travelling to Belize or are currently in Belize, purchase the reflectors from a local retailer and donate them directly to a participating organization or install them yourself on bicycles in your area (e.g. contacting a school, church, police department, etc.). If you are travelling to Belize, purchase them before travelling then donate them directly to a participating organization or install them yourself on bicycles in your area (e.g. contacting a school, church, police department, etc.). You can purchase them from your preferred source. If anyone is contemplating making an end of year donation (cash, appreciated assets, etc.) for US based tax planning purposes please consider Believe in Belize as one of your beneficiary options. Please contact us at Board@Believeinbelize.org for additional information. Thank you. For Part 1 of this project please see this link. 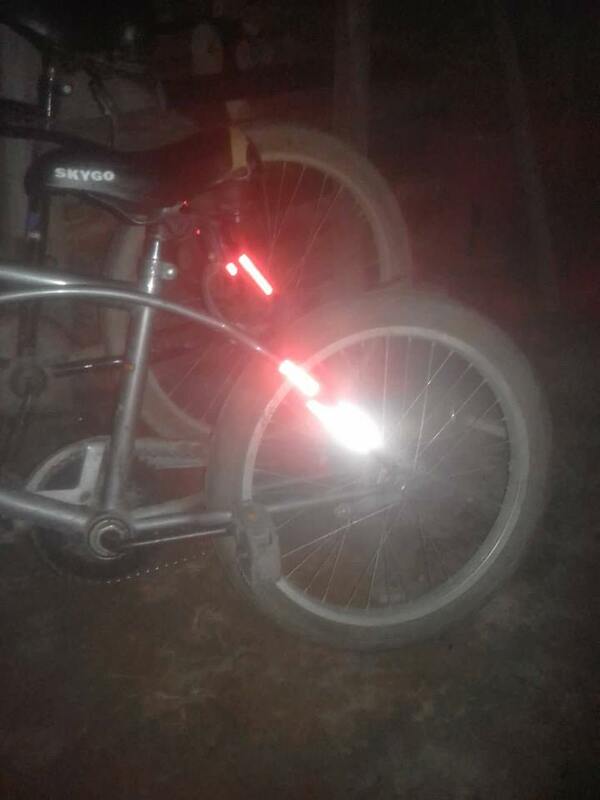 On Wednesday October 24th, 2018, Officer Raul Pop from the Placencia Village Police installed 21 reflectors on bicycles of cyclists passing by (mainly children). Besides the safety value of this effort, it was gratifying to see the recipients happy to have them installed. 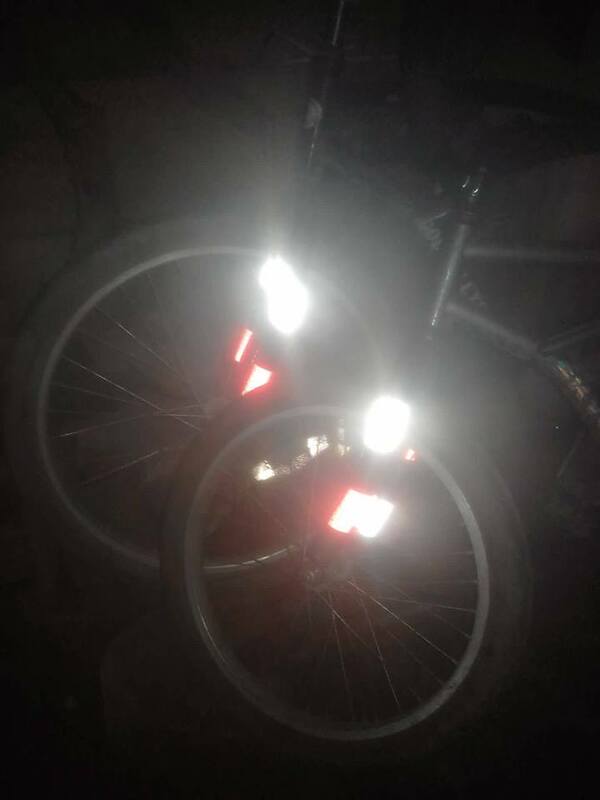 This is a pilot project for installing ~20 bicycle reflectors on bicycles in Placencia, Belize during the second half of October, 2018. It is part of the Believe in Belize Health Program / Bicycle Safety Initiative. The purpose is to get a better handle on the issues involved. Afterwards, we will decide how to best proceed with this project. You can participate in shaping the future of this project by joining our Bicycle Safety Initiative Facebook page here. As part of our project to donate computers to schools in Belize (details) we partnered with a Rotary organization, Resource Centers International (details) to manage the deployment. If you live in Belize and would like to volunteer as an IT specialist or Educator, RCI would love to hear from you. Welcome to our inaugural newsletter! We are delighted you decided to read it and welcome your feedback on how we can improve it. The logo on the left is what I came up with when the non-profit was launched. The light brown, blue and green were to represent the natural beauty of Belize: Beaches, Water, and Greenery along with the non-profit name / website. My daughter, the marketing major, thinks she learned enough to tell me this logo does not do much from a branding perspective . So I am starting a competition to come up with a new logo. As part of its Education Program, Believe in Belize initiated a project to donate 205 computers for schools in Belize (see details here). Our partner in this project, Rotary District 6600 / MESA (partnership announcement) will also distribute school supplies to the schools receiving the computers. This project is to help them get the school supplies. As part of its Education Program, Believe in Belize initiated a project to donate 205 computers (refurbished 64 bit architecture PC with keyboard & mouse, and monitor) to 41 schools and 1 junior college in Belize to aid in the establishment of school computer labs. This project will benefit about 6000 students the first year and another 6000 over the 5 year estimated life of the computers. The deployment will take place in the Fall of 2018 and Spring of 2019 through our partner, Medical Equipment and Supplies Abroad Foundation, Inc. - Rotary District 6600 / MESA (partnership announcement) and with the collaboration of the following Rotary Clubs in Belize: Belize Sunrise, Corozal, Dangriga and Placencia (Rotary in Belize). Vikas joined Believe in Belize as a volunteer Program Manger to begin the initiation of our heath related projects and services. He and his wife Niki are planning to visit Belize in the near future to learn more about the current healthcare system. 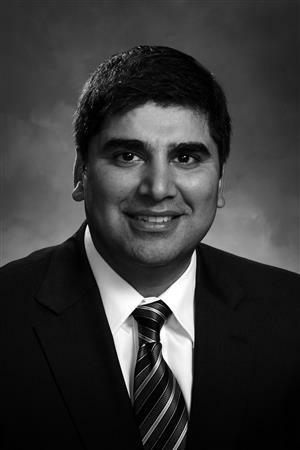 Over the course of his career, Vikas has developed executable strategies aimed at helping U.S. Healthcare Payers and Providers modernize internal operations and improve patient access to affordable healthcare services. In his current role as Principal to Strategy Execution for xScion Solutions, Vikas works with Payer and Provider organizations to improve internal Data Operations, increase trust in their information assets and develop consumer-focused services. Vikas earned his Bachelors degree in Management of Information Systems and Masters in Health Systems Management from George Mason University. In his free time, Vikas enjoys participating in car racing events, watching football and going on beach vacations. Believe in Belize (https://believeinbelize.org/page/about-us) has entered into a partnership with Medical Equipment and Supplies Abroad (MESA) Foundation, Inc. (http://www.rotarymesa.org). MESA is a 501c3 non-profit formed in 1981 by the Rotary Clubs of Northwest Ohio District 6600. Flipboard (https://flipboard.com) is a magazine publishing tool. When you see this symbol on any website, clicking on it allows you to "flip" that page into a Flipboard magazine you publish or have access to contribute to it. If you manage a website you can also insert Flipboard widgets (see how at https://about.flipboard.com/social-plugins). One of the tools is a "+ Flip It" button which you just drag to your browser's Bookmarks Bar for easy flipping. By flipping our website pages to Flipboard magazines you help spread the word about what we do at Believe in Belize (http://believeinbelize.org). Below is the magazine published by Believe in Belize. If you would like to contribute to it (i.e. Flip other relevant website pages to it) please contact us at Board@Believeinbelize.org to discuss further before we grant you access. You can also choose to "Follow it". Believe in Belize (http://believeinbelize.org/) has entered into a partnership agreement with World Computer Exchange (https://worldcomputerexchange.org/), a 501c3 non-profit since 2000, specializing in providing computers and related equipment and services to schools in developing countries. This page is "retired" and is kept for historical purpose only. 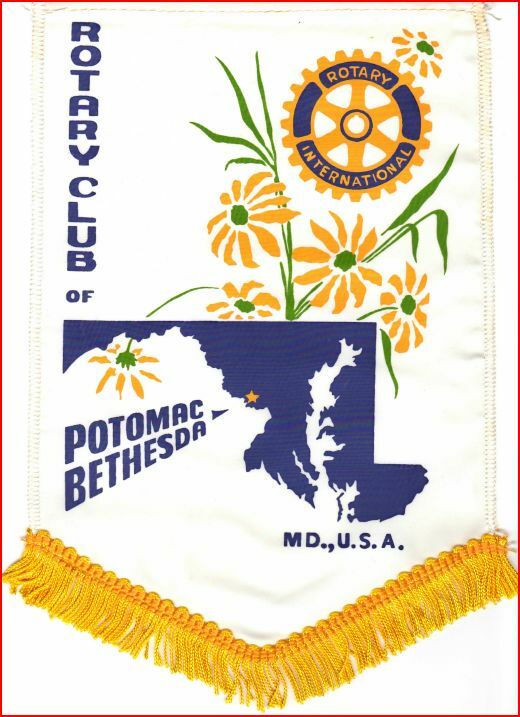 Please see this link for the new page https://believeinbelize.org/sitepage/rotary-international. This project was CANCELLED and a NEW and LARGER project was created. For details of the new project, please click here. If you want to add functionality to your website without programming then you will find the over 50 plugins provided by Powr.io very beneficial. They have a lot of free capabilities and different pricing plans for different upgrades. Whenever you upgrade to a paid plugin or plan we get 30% which will be used to support the needs of Believe in Belize. The link below will take you to the Powr.io site. For us to get credit for referring you it is important that you use the link below since it has our affiliate number. Also, when you get to their first screen (image below) the FIRST thing you MUST do is create a free account using the "Sign In" link on the top right corner. If you do anything else the "?a=172986" part of the link will be lost and we will not get credit for the referral. Thank you in advance for your support. The Google Newsfeed is an automated RSS transmission intended to provide a breadth of topics related to Belize. We do not control the content. Unfortunately, this means that occasionally there will be inappropriate and/or offensive content to some people. We apologize in advance. Please feel free to recommend alternate sources of RSS news feeds about Belize and we will look into it. You may email us the recommendation by clicking here. What is Believe in Belize? Believe in Belize (believeinbelize.org) is an all volunteer non-profit with the main focus of implementing projects and providing services in the country of Belize. We began operations on January 1st, 2018 as an unincorporated non-profit. The goal of the organization is to provide a place for individuals and organizations who share a common interest in helping with the development of the country of Belize. On April 17, 2018 we incorporated in the State of Maryland, USA as a non-profit business named Believe in Belize, Inc.
On March 26, 2019 we officially became an organization Exempt under IRC 501(c) (3) and classified as a public charity under IRC 170 (b) (1) (A) (vi). Our effective date of exemption is April 17, 2018. The best way to contact us at Believe in Belize is by emailing us at Board@believeinbelize.org. You can also Call/Text (US) at: +1 301-200-8510. If you would like to send us something through physical mail please email us and we will provide you additional information. As we grow, you can also select a name on the Contact List on this page to reach a specific person. Lucy is a co-Founder of Believe in Belize. 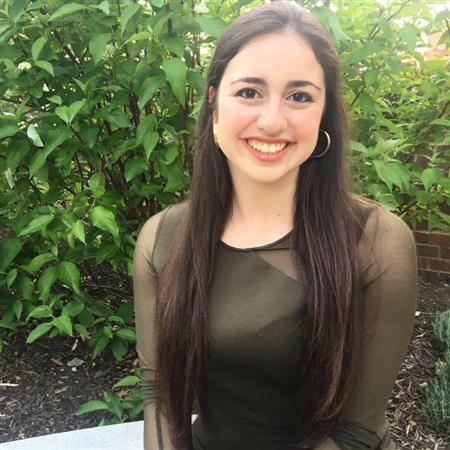 She is currently a student at the University of Maryland- College Park, studying marketing at the Robert H. Smith School of Business. She is the editor of Spoon University, an online food publication and president of CHAARG, a female fitness organization. She developed her passion for furthering education in Belize in high school when she started a club to raise donations for St. John’s Anglican school in Placencia. She is excited to see how Believe in Belize will continue to help grow educational opportunities throughout the country. When Lucy is not studying, she can be found practicing yoga, trying new recipes or writing poetry. Lucy also adores traveling and has studied abroad in Italy, Japan, Austria and New Zealand. She is excited to continue to work with Belize through Believe in Belize and those looking to join her in this mission. Why Join Believe in Belize? 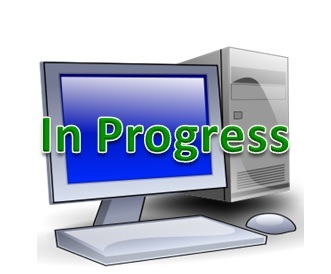 1) Ability for a person or an organization to post a project looking for partners, volunteers, funding. 2) Share news and accomplishments. 4) Have your own space on our website to manage your own cause. 5) Have a platform for raising funds for short-term or long-term needs. 1) Volunteer for one of our open positions. 2) Volunteer to join and/or manage a project or provide a service. 3) Donate financially or in-kind. 4) Sign-up for our paid services. We welcome organizations to partner with us by contacting us here to initiate a discussion of possibilities. This page was "retired" on 4/14/19 and is kept for archival purposes. The FJC account was closed and funds transferred to the TD Ameritrade account after we received our 501c3 IRS designation. To start operations, the founders donated $1600 to the operating fund located at TD Ameritrade and $5000 to the US tax deductible Collective Giving Fund located at FJC: A Foundation of Philanthropic Funds. If someone wants to verify our accounts with either institution, please contact us and we will authorize the relevant institution to discuss our account. To assist us with our fundraising, please visit this page http://believeinbelize.org/Stories/how-to-donate-to-believe-in-belize. As an all volunteer organization we could use all the help we could get. If you are interested in any of the positions below please contact us at Board@believeinbelize.org. The level of experience is not as critical as your willingness to learn and actively participate. Multiple volunteers per position would be ideal. Feel free to suggest another position you would like to create and volunteer for. Almost all of our positions can be performed from where you live. However, each volunteer needs to make sure they satisfy the work permit requirements in their local jurisdiction (as applicable). THIS CAPABILITY IS NO LONGER AVAILABLE. To purchase Amazon Gift Cards click image above. To start shopping in general click here. To purchase from Amazon in support of our Bicycle Reflectors Service, click here. When you start shopping at Amazon from links throughout our website, you will be taken to Amazon's website, however, Believe in Belize will get a "%" or fixed amount of your purchase. 100% of what we receive from Amazon will go towards our different charitable projects and services. If you would like to see what we would potentially receive by category please see this Amazon link. Amazon does provide us reports of what was purchased, However, we do not receive any information about the buyer. You can also bookmark any Amazon page you land on after you click on it from our website so that you can re-use it in the future and we continue to benefit. You can also add the URL of the resulting page as an icon on the home screen of your mobile device. Click here to learn how. I will never complain about homework again. It happened in 2014 when I had the opportunity to travel to Belize for a family vacation. In this beautiful country packed with adventure and culture, I learned that education is expensive for many Belizean families partly because of the cost of compulsory uniform and supplies. Upon learning that items as simple as a notebook and pencil can give a child an opportunity to go to school, I knew exactly what I wanted to do to help. I started a club called "Believe in Belize" at my High School in September 2014. Through contact with the local Rotary Club (of which my father was a member), we were able to get in touch with the principal of St. John's Anglican School in Placencia, Belize. He told us that the school has a great deal of need and sent us a list of their most needed supplies. I returned to Belize the following summer with lots of school supplies and volunteered at the school. What would happen to the literacy rate in Belize if the larger community began to support education in Belize? The global social and economic benefits of expanding literacy are undeniable: eradicate poverty, address gender inequality, and create sustainable development, to name a few. In the words of Malala Yousafzai "One child, one teacher, one book, and one pen can change the world." Kareen is a co-Founder of Believe in Belize. She is a clinical child psychologist who is in full-time private practice in Bethesda, Maryland. 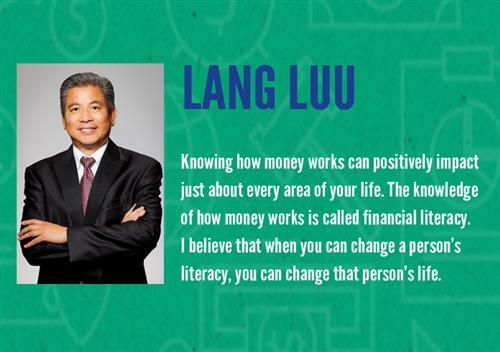 She graduated with her doctorate in 1995 from Virginia Commonwealth University. Before starting her private practice, she worked at Prince Georges Hospital Center in the Child Mental Health Program. Kareen also worked as a psychologist on a multidisciplinary team at the Georgetown University Child Development Center. By co-founding Believe in Belize, she is looking forward to applying her clinical experience in child psychology to support Belizean children and their families on their educational journey. 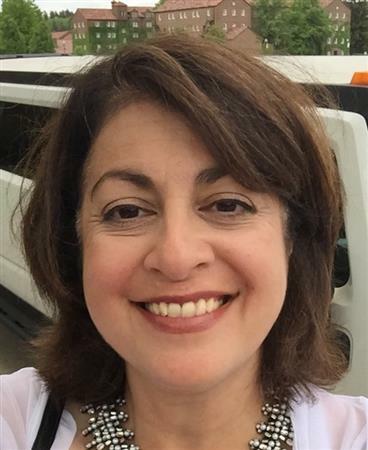 Kareen loves taking long nature walks, curling up with a good book, and cooking Mediterranean food. Nabil is a co-Founder of Believe in Belize. After visiting Belize with his wife for the first time in 2013, they fell in love with the country and decided to make it their home away from home. Nabil retired as a Georgetown University professor in 2011. He spent 29 years of his professional career in Information Technology and Project Management, spanning the government, commercial and education sectors. He has academic degrees in Aerospace Engineering (Bachelor of Science), Systems Engineering (Masters of Science) and Engineering Management with specialty in Artificial Intelligence and Human Factors (Doctor of Science). He is married and has one daughter. Nabil's family origin is from Lebanon, but he was born in Egypt, raised in Kuwait and has lived in the US since 1979. Nabil is a Rotarian (since 2007), two time Paul Harris Fellow and a member of the Rotary eClub of One World. In his free time he enjoys watching sports and learning about history. The 2018 operational budget for Believe in Belize is US $1600. This budget will be updated throughout the year as we grow. If you would like to help us cover our expenses as we perform our mission please see our fundraising options here. This page explains our services, however, to actually donate to a service please visit this page. It is VERY IMPORTANT that you provide an email address when donate or contact us after you donate to a service so that we follow-up and work out the necessary details based on the selected subscription. Below is the current list of subscription services offered by Believe in Belize. 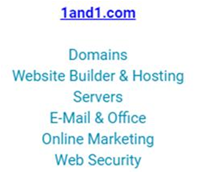 For a $10 monthly or $100 annual subscription, an individual or organization can become a website advertiser to help us cover the cost of operating our website. An approved website advertiser provides an image or text which appears on our homepage Website Advertiser location, and many secondary website pages (as we grow). For a $10 monthly or $100 annual subscription, an individual or organization can get an email address that ends with @believeinbelize.org. Our cost is $36 / email address and is hosted by 1&1. This subscription helps us cover the cost of our organization's operational email addresses (e.g. Board@believeinbelize.org). When subscribing, you can provide your desired email address and we will accommodate you as much as possible. However, we reserve the right to deny standard email addresses needed to run our non-profit (e.g. support@believeinbelize.org) or inappropriate addresses. Furthermore, we will delete any email addresses the board deems inappropriately used. For a $10 monthly or $100 annual subscription, an individual or organization can get a user account on our own platform (hosted by Clubrunner). Our cost is ~$275 per year for up to 20 users and increases (but cost per user decreases) as we add users. This subscription helps us cover the cost of our organization's operational content management and development expenses. As a subscriber, you will receive standard member privileges (have your own site page, create content, create events, and have access to anyone in Believe in Belize). Please note that subscribing to a user account is different from subscribing to an email address since they are hosted by two different companies. You can have a user account and keep your own email address. Also, we will delete any user account the board deems inappropriately used. For a $10 monthly or $100 annual subscription, an individual or organization can place an advertisement on the website's footer which helps us cover the cost of operating our website. An approved advertiser provides an image or text. 1) Believe in Belize reserves the right to decline a subscription service to an individual or organization due to lack of payment, government regulation, inappropriate content or behavior by the subscriber as determined at the sole discretion of the Board of Believe in Belize. 2) We reserve the right to waive the subscription fees for organizations or individuals that provide in-kind donations. 3) Extra funds are used for other organizational operating expenses and charitable work. Hello World! We are happy to announce that Believe in Belize officially launched on January 1, 2018. It is a non-profit dedicated to helping with the development of the country of Belize. We will start small but hope to grow rapidly. Please explore our website at believeinbelize.org and share your thoughts with us. At inception, Believe in Belize consisted of three co-founders (husband, wife and daughter), Nabil, Kareen and Lucy. They represent the initial Board of Directors (BoD). The plan is to grow the BoD to seven members. The BoD is responsible for staffing the organization over the next few months. BoD decisions will be based on a simple majority of its members, except the removal of a co-founder which will require the unanimous approval of all the members (except the person being voted on). The operating philosophy of Believe in Belize will be that of maximum transparency, in compliance with US and Belizean laws, and protect sensitive matter related to personnel.